We offer completely customizable and scalable solutions that are reliable, affordable and flexible. A properly designed, installed and administered cabling solution is a must in today's business world. Euclid Telecom offers efficient packages combining your business phone system and service. SIP solutions from Euclid Telecom can drastically reduce your communications cost. Our network cameras allow easy monitoring and access from remote areas. We do not believe in the "nickel & dime" approach. We give fair and realistic quotes. Click through to get a free quote on your business needs. Euclid Telecom Inc., has been serving North Central WV since the mid 1970's. Throughout the years Euclid Telecom has evolved into a full service communication equipment vendor. This longevity in the local marketplace has led to strong word of mouth sales and strong relationships with loyal customers who have been with us for for decades. "Euclid Telecom has continually provided our real estate development based company with quality equipment, reliable customer service, and excellent pricing over our long-term relationship. Euclid strives and succeeds in making their clients' satisfaction their corporate mission with outstanding positive results. I recommend Euclid services to any company big or small." "We have worked with the Euclid Crews since 1977. They have responded when we needed help with upgrades and have made themselves available in a timely manner when we required communication systems to work properly in the areas of telephone and computer equipment." 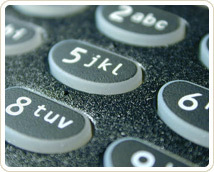 "We have been a customer of Euclid Telecom for 20 years. It's nice to know that when we call for support, they understand who we are and how our daily business operates. We could never get that type of service from a large vendor." Heiskell King Burns & Tallman Surgical Associates, Inc.